Chiropractic is a branch of healthcare that is concerned with the relationship between the spine (as well as joints in the pelvis and extremities) and the nervous system. Chiropractic treatment focuses on the specific correction of joint and spinal dysfunction and misalignment (i.e. joints not moving properly), which over time can cause pain, muscle spasm, inflammation and joint deterioration. Chiropractors utilize spinal manipulation, also called adjustments (using mostly their hands) to correct joint misalignments to return the proper motion to the involved joints. Chiropractors may also utilize other modalities, including mobilizations, soft tissue techniques, electrotherapy, ultrasound, heat, ice and stretches and exercises to help decrease muscle spasm and imbalance as well as nutritional and postural advice to improve or maintain your overall optimal health. Goals of chiropractic care are to decrease pain, reduce muscle spasm and restore function, movement and strength in an effort to help the patient return to work, sporting and leisure activities. Chiropractors also work with other health care professionals including physiotherapists, registered massage therapists, registered doctors of acupuncture, occupational therapists, as well as medical doctors and specialists to provide the best possible care for the patient. 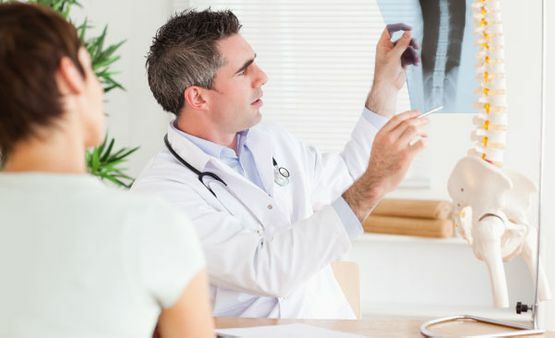 Chiropractors perform a comprehensive assessment using mainstream diagnostic methods (including a health history, physical exam, and sometimes X-rays) to formulate a diagnosis in relation to the joint dysfunction and misalignment. Questions about work, home and leisure activities may also be asked since these can affect joint dysfunction, pain, etc. Please bring with you any information that we may need to complete your assessment and commence treatment in a timely manner (i.e. X-ray reports, WHSCC claim number, insurance cards or adjuster information, in the case of a motor vehicle accident, etc.). Your first visit usually lasts about an hour. Each subsequent visit thereafter is usually about 20 to 25 minutes.